Delightful B&B accommodation in two self-contained cottages: ‘Crockery Cottage‘ & ‘The Bottle Top‘ in a beautiful village location. Both cottages have been lovingly restored and finished with homely furnishings. Each has a downstairs kitchen/reception room (inc. sofa bed) and spacious double bedroom with ensuite upstairs. 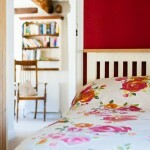 An additional adjoining bedroom in Crockery Cottage provides enough room for up to 6 guests! Perfect for weekends, mid-week & short-term breaks. This amazing Grade 2 listed property with self-catering accommodation provides a really unique and special holiday destination. Having been recently refurbished, guests can enjoy modern day luxuries together with the original period features. ‘The Groom’s Flat’, located above the stables with 3 large double bedrooms plus sofa bed, is perfect for larger families and groups. With the entrance through the old coach house, ‘The Stable Cottage’, a delightful 2 bed cottage, has accommodation for another 6 guests.